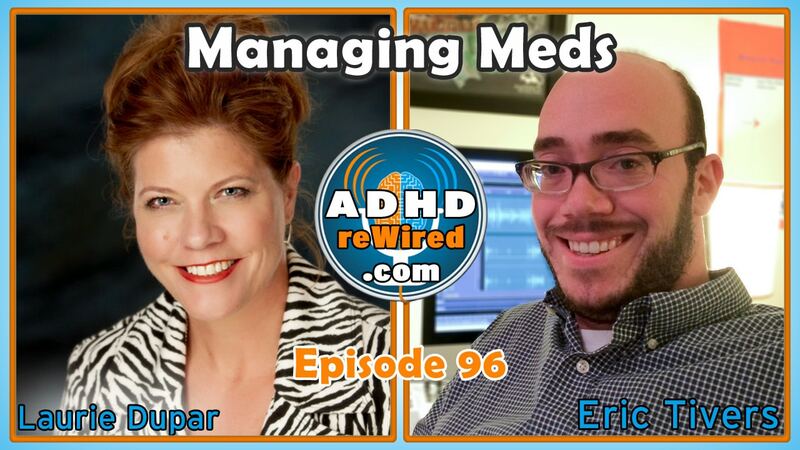 Senior certified ADHD coach and psychiatric nurse practitioner Laurie Dupar uses her experience to discuss in detail medication management and how important it can be for optimizing results. Tracking, planning, alternate methods and research are all addressed concerning medication and its capacity as a tool for those with ADHD. A senior certified ADHD coach, mentor coach, and a trained psychiatric nurse, Laurie Dupar specializes in ADHD treatment. Laurie recently launched the International ADHD Coach Training Center, a hands-on interactive coach certification program. Identifying primarily as a nurse and as a mother, Laurie has been coaching those with ADHD for the past 13 years. Now primarily focused on coaching after becoming interested in it during her nursing days, Laurie pulls a lot on her experience as a nurse practitioner to better inform her practice. In the early 2000’s, wanting to be able to work independently with her clients and with her son previously diagnosed with ADHD, Laurie sought out information on ADHD. She found a CHADD meeting wherein she learned of the concept of coaching and began to research it. Being a nurse practitioner means one has attained an advanced degree, typically a master’s degree, and has chosen a specialization. Laurie specialized in being a psychiatric mental health nurse practitioner. The end result is that she has both the training of family nurse practitioners as well as the psychiatric training involving psychopharmacology, medications used in psychiatric disorders, diagnostic processes, and spending their clinical hours in a psychiatric setting. The ability of psychiatric nurse practitioners to diagnose disorders and prescribe medication varies from state to state. In some states, they must work under the guidelines of a psychiatrist and have orders and prescriptions signed off by them. Other states provide more autonomy, allowing nurse practitioners, for instance, to practice independently and address their patients directly. Diving into the new field of coaching, Laurie eventually realized how important her nurse practitioner training in the realms of diagnosis and medication was – many of her patients would come to her with issues around medication management and prioritization of diagnoses. Laurie now teaches a five-week course on the nuts and bolts of medications and how they work. When discussing medication with a new patient, Laurie will begin with basic questions about their diagnosis and what they have done since that diagnosis to better manage their ADHD. If the patient mentions their medication, Laurie will ask about the type and dosage and what results they’ve seen. Typically, clients will see a noticeable difference after using medication but will often report still having problems with impulsivity and focus when their medication isn’t applied in an optimized way. In the same vein as calendars, planners, and other strategies, Laurie sees medication as one of the tools someone with ADHD can use to better manage their symptoms. Occasionally some will say they’re taking medication but aren’t diagnosed; Laurie counters that they wouldn’t be taking a stimulant medication without a diagnosis. There aren’t a whole lot of people who are helpful when discussing the option of medication. This, Laurie says, can lead to poor experiences. Typically, when Laurie encounters those who believe they shouldn’t take medications, the belief stems from a bad experience, encountering information that frightened them, or from someone close to them having a bad experience. Others will seek an “all natural” approach but will then take supplements that themselves are not natural. Eric notes how “all natural” is often used as a marketing term by companies to sell their products that themselves are engineered chemicals. Russell Barkley issues his bi-monthly ADHD Report, which provides a handful of brief summaries of recent research results. One recent issue described findings related to fish oil: across all randomized control studies performed about fish oil, a total sample size of 22 people was found and none of them found any impact. If one isn’t hurt from taking the supplement, they understand the research surrounding it, and it offers them a placebo effect, Laurie is generally OK with people taking them. However, frequently people have badly sourced or improperly understood information. Eric: I’ve never met a parent that’s thought it an easy decision to give their child medication. Parents are often placed in a hard position: if they need to resort to medication, many feel that they’ve failed on the behavior management side; if they wait too long to begin medication for their child, they feel like they acted too slowly. Laurie: There is no perfect parenting because perfect is abnormal. Mostly, medication tracking occurs when one returns to their prescriber’s office on a monthly basis. One will be asked “how it’s going” and perhaps before leaving be told to make sure they’re eating and not losing weight. Many leave their prescriber’s office not knowing what they should be on the lookout for. When Laurie encounters a patient still struggling with the core symptoms of ADHD while they’re adhering to their proper medication instructions, she wonders if they’re taking the right medication. Many of Laurie’s clients wouldn’t initially remember what their medication dosage or schedule were when asked. Because of this, Laurie has her patients fill out a medication log to track the type, dosage, and schedule alongside attributes like their energy level, mood, sleep, focus, and more. The medication log serves a dual purpose of helping to inform the patient’s prescriber and helping the patient themselves recognize their own situation. One patient, a seventy-year-old woman who wished to write a book, would have to re-read chapters written the prior day because of how poor her memory was. After Laurie worked with her psychiatrist to find the right type and dosage of medication, the patient was then able to remember what she had written and move forward that much better. A lot of students schedule their medications so they’re active during school hours. Unfortunately, oftentimes the medication will wear off either before the last few classes of the day or before they begin their homework, causing them to struggle specifically with those tasks. Many parents don’t realize that there are options for a shorter-acting medication for post-school and homework applications. Others will take their medication right as they walk out the door to travel to work in the morning, which may sacrifice their ability to plan ahead and prepare before they leave. Eric began taking medication at age 19 when he was diagnosed with ADHD. At that time, he took short-acting Adderall three times per day (though he would consistently forget to take one of them). Later on in college, Eric would try an extended-release medication, but found it to not work to his satisfaction, so he returned to the short-acting. A few years ago, however, Eric tried switching back to the extended-release medication and found it to work very well. A little less than a year ago, Eric began to experience anxiety, which lead to him spending hours researching a psychiatrist to see for his anxiety. Finally choosing a psychiatrist, Eric has since been working with them on medication management. He reduced his Adderall dosage to 30 then back up to 50 mg after the lower dose wasn’t adequate; he tried up to 3 mg of Intuniv, but experienced extreme restlessness and then anxiety over not being able to sleep; stopping the Intuniv, he is now trying 80 mg of Strattera (following an initial dose of 60 mg). This past week, he’s felt a little off and stuck in a bit of a fog and was wondering whether it may be related to the Strattera. Laurie asks Eric about when he takes each medication (Adderall once in the morning; Strattera later in the morning due to IBS issues and feelings of nausea and feeling bloated). Strattera works very differently than regular stimulant medication. It is a remake of an old anti-depressant medication and still retains some of its properties – one of which is that it can take several weeks to build up in one’s system. Also, some common side effects of Strattera are fatigue and gastrointestinal (GI) upset. Interestingly, Strattera doesn’t need to be taken at a specific time of day – it works by being built up in one’s blood and functions all day. Someone can take it at night to try to both avoid the GI issues and take advantage of the fatigue side effect to help them sleep. In terms of the anxiety, Laurie suggests looking at what has worked in the past for Eric to reduce his anxiety. She also mentions that it can be useful to treat that type of anxiety with an anti-depressant containing anti-anxiety qualities because it involves serotonin, which is responsible for anxiety. In grad school, Eric remembers learning mindful meditation and using it to recognize his anxiety for what it was. He realized that while he could be mindful of it, that the anxiety itself was still happening fairly often. Eric mentions how shifting to the task of going to have his hair cut has been a challenge because of how hard it has been for him to shift from office work to an entirely different task. While having one’s hair cut may seem like a simple task, but it’s not necessarily so straight forward because of the steps involved: having to figure out where to go, clear the time, leave the office, have the haircut, return home for a quick shower, then return to the office. Some tasks seem to Eric to be able to be completed very directly, while others, like his haircut, are harder for him to shift into accomplishing. Medication adjustments can help with task shifting, since medication aids with executive functioning-related tasks, which includes task shifting. Otherwise, one will tend to hyper-focus or stay content with what they’re doing. Not minimizing what may be a larger task, setting rules for time allocation, and creating incentives or rewards for completing the shifted task are all ways to help manage as task shift. Additionally, being mindful of emotional responses like feelings of anxiety or overwhelm, can help one overcome them and recognize them as obstacles to task shifting. Laurie recently remembers having stressing out over having a challenging time with registering her car and driver’s license. It was suggested to her that she plan for all of the time: the time required to prepare to leave, to leave her office and drive to the DMV, work through all of the process, and return. While she ended up allocating three hours to the task and was able to start on it easier because of that, the result was that it was quick and painless. Laurie also set a task of Christmas shopping after visiting the DMV as a bit of reward for pushing through and completing the task. Eric is reminded of the strategy he employs of his wife setting a nighttime alarm that will go off and wake up the family if he doesn’t return home early enough at night. Laurie realized she had been building up the pieces for a training center-like project for the past decade. With her background, Laurie hopes to bring unique approaches and knowledge to the program alongside topics she feels haven’t been discussed as much in the ADHD community such as diversity, culture, and differences between ages. The program will also bring in special expert guests from throughout the ADHD community to help further enhance the curriculum. Business building for coaching practices will also be an important emphasis in the program. Uses a multicolor-coded Google Calendar mainly because it can be accessed by many people. Weekly, Laurie prints out her calendar on a large green sheet of paper that she then is able to write, edit, highlight, and take notes on. Similarly, she uses special Post-it notes and applies them to the calendar to indicate especially important events that have been added.